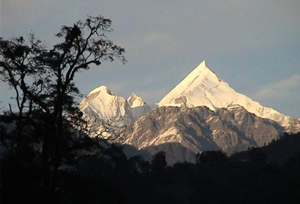 Around 8 km from the Renuka Lake of Nahan, Jamu Peak is a beautiful sit out place in an extremely quiet environment. The main attraction of this mountain peak is the temple of Sage Jamadagni who meditated here. The best thing about the peak is the picturesque surroundings that can be observed from the peak.